At the end of a long, tiring day, it’s a common relaxing sensation to have a soak in the bathtub. Baths are proven to relieve stress and provide a more relaxing quality of life. People all over the world are taking their baths to the next level with the revolutionary power of the bath bomb, a mixture of bath enhancers that arrive in a compact, hard-packed “bomb” shape. Bath bombs are available in different scents for varying purposes. When placed into the steamy bath water, the bath bombs give off their ingredients, including calming scents from essential oils, a whirlwind of colors, and most importantly, bubbles. We’ve narrowed down the best bath bombs available for the most soothing bath. Here are the top bath bombs on the market today. 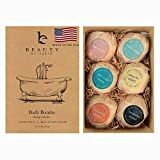 This set of six bath bombs from the organic beauty brand Beauty by Earth provides six different baths for six different purposes. The aromatherapeutic scents released by these bath bombs create an array of experiences for each bath provided in the set. The luxurious gift set includes bath bombs specialized for joint and muscle relief, relaxation during the daytime and just before bedtime, plus detoxing. Feeling under the weather? Pop the Get Well Soon bomb into the steamy bath water. Its essential oils strive to revive. These bath bombs are established in the healing power of aromatherapy, utilizing the sense of scent to allow its user to relax, unwind and heal after a day’s work. The bath bombs act this way by releasing essential oils upon contact with the hot bath water, coating the bath water in aromatic splendor. The essential oils are derived from organic plants that use natural healing elements to enter the senses and calm the mind. Beauty by Earth’s bath bombs contain additional natural ingredients like kaolin clay and sea silt that leave the body feeling soft and moisturized after use during bath time. Long ago, before lotions and other moisturizers existed, humans would use the healing powers of clay and silt to moisturize the skin. Today, Beauty by Earth utilizes these ancient moisturizing techniques in their bath bombs to create a truly natural solution for dry, cracked skin. These bath bombs are ideal for those who suffer from dry skin or eczema. The natural moisturizing capabilities of the clay in addition to the essential oils leave the skin on the entire body looking plump and less dry year-round. Since these individual bath bombs fall on the larger side of the spectrum, they provide a longer, more aromatic bath time during use. The bath bombs release their essential oils, clay and other healing contents slowly to provide a truly luxurious bath time during use. Measuring in at a volume of 4.2 ounces each, this set of bath bombs will provide six individually long, soothing bath sessions. The bombs have the capacity to create a bath time that lasts hours long. Some of these Beauty by Earth bath bombs contain exciting additions such as flower petals that release into the bath once the bath bomb effervesces beneath the hot bath water. The flower petals create a picaresque surprise in the bath, turning a nightly ritual into something more special. Using organic bath bombs is a great way to treat oneself during the week after the long work day. Beauty by Earth uses entirely organic ingredients when creating their luxurious bath bombs. Their ingredients are gluten free and completely vegan, appealing to every kind of lifestyle. As a brand, Beauty by Earth chooses not to use harmful ingredients in their products that can often be found in other beauty, spa and bath time products. These common harmful ingredients eliminated from Beauty by Earth products entirely include contents such as sodium lauryl sulphate (SLS), parabens and chemical preservatives. Beauty by Earth’s bath bombs are made in the USA and manufactured humanely by hand in small batches to ensure product freshness. These qualifications allow for the perfect bath every time when using a Beauty by Earth bath bomb. 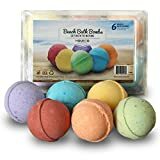 The six Beauty by Earth bath bombs contained in this set are individually packaged and labeled with color-coded stickers to explain the function of each bath bomb. The bath bombs are nested in kraft paper confetti inside of a signature cardboard box. Along with the bath bombs, an ingredient list printed on brown kraft paper is placed inside the box to list the organic contents of each bath bomb. The box is assembled by hand in the USA. Perfectly packaged, this set of six bath bombs is the perfect choice for the self or to give as a gift to any bath enthusiast. These bath bombs even make a great gift for someone who has not yet been converted to bath time. A set of organic bath bombs, such as this set from Beauty by Earth, can be the ultimate bath time game-changer to quickly turn someone into a bath lover. The best of the best in the bath bomb game, this set of six multi-purpose bath bombs from Beauty by Earth contains organic ingredients and hours of spa-like luxury. Filled with ingredients like essential oils and natural varieties of clay, these bath bombs bring an aromatherapeutic approach to bath time. Turn the ritual of bath time into paradise with this set of six bath bombs from Beauty by Earth. This bath bomb and lip balm set from Enhance Me is the ultimate solution for daily moisturizing and relaxation. It’s a set of six powerfully scented bath bombs that arrive with a bonus lip balm. Each bath bomb in this set has a different scent: the purple bomb is Lavender Swells scented, the light red has a Cherry scent, the yellow bomb is Citrus Splash, the blue is Tranquility scented, the green bomb smells like an Ocean Breeze and the orange option has a fruity Mai Tai scent. The scents of this variety of bath bombs are lighter than most bath products so they’re ideal for users with sensitive skin. All six of these Enhance Me bath bombs are rich in ingredients like shea butter and organic sustainable palm oil that release in the bath the moment the bomb hits the hot bath water. These butters and oils are naturally moisturizing ingredients, rich in vitamins A, E and F to leave the skin soft long after bath time. High in vitamin E, the organic sustainable palm oil contained in these bath bombs is a natural anti-aging and moisturizing solution that fights wrinkles during bath time. The six bath bombs arrive in a silky mesh drawstring bag that keeps all the fresh bombs together when stored in the bathroom. To save on packaging, the bath bombs in this set do not come individually wrapped. Take one bomb out of its silky bag and simply pop it in the bath water to have an aromatherapeutic bath ready to go in no time. There’s no need to waste time removing these bombs from individual wrappers. Enhance Me makes their bath bombs by hand in small batches in the USA. Due to the small batch process, the small business’ products remain fresh for long periods of time. The bath bombs each come in at a volume of 1.9 ounces each. 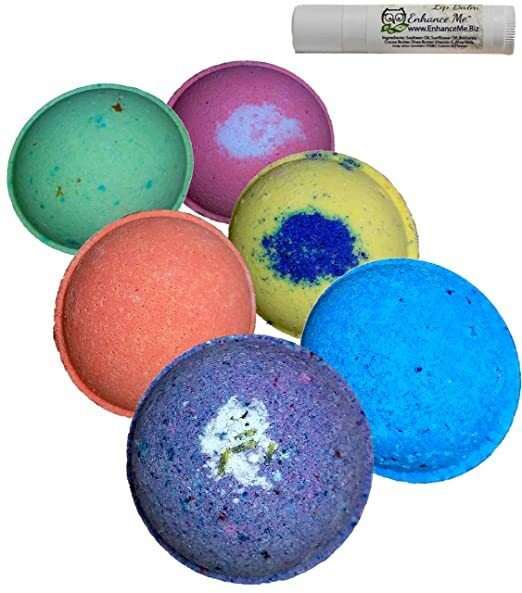 This bath bomb set from Enhance Me comes with a corresponding lip balm that’ll keep the moisturizing going for its user. The lip balm arrives in a refreshing Coconut Lemongrass scent and utilizes the naturally moisturizing power of coconut oil to keep the lips moisturized and soothed. Especially ideal for nighttime use as part of the nightly bathtime ritual, this thick lip balm will remain on the lips throughout a good night’s sleep to nourish the lips overnight. The lip balm is a great bonus addition to an incredible set of scented bath bombs. Beautifully packaged and rich in aromatherapeutic qualities, this bath bomb and lip balm set from Enhance Me makes a great gift for any bath or spa enthusiast. Tied together in a beautiful silky bag, the set looks impressive as a whole. Among the top contenders in the bath bomb competition for its action-packed moisturizing qualities, the Paradise Bath Bomb Set from Enhance Me is an excellent choice. Filled with naturally moisturizing ingredients such as organic sustainable palm oil, shea butter and coconut oil, these bath bombs will leave the skin feeling soft and plump. The bath bombs arrive in an array of scents, from fruity to fresh, which carry onto the skin long after bath time. HomEco’s Beach Bath Bombs bring the aromatic pleasure of the beach right to the bath water. The brightly-colored set of six bombs turn the bath water into fun shades while healing the skin and the muscles along the body. Rich in essential oils in addition to naturally moisturizing ingredients such as coconut and sunflower oils, these bath bombs leave the skin feeling silky and soft long after bath time has passed. HomEco’s set of all-natural bath bombs create six unique bathing experiences for all. The six bath bombs arrive in six individually unique scents, all resembling the natural aromas of the area of the ocean. The Sun-Kissed bath bomb has a citrusy orange and lemon scent with a touch of ginger. The Set Sail bath bomb is sweeter, laced with scents of honey and almond. The Saltwater Taffy bomb brings the soothing aromas of lavender and violets, while the Barefoot Beach bath bomb smells like fresh peppermint, eucalyptus, lime and rosemary when placed in the bath water. The Ocean Breeze bath bomb brings all the scents of the crashing waves, including fresh lavender, sage and lime. The sixth bath bomb in the set, Endless Summer, has all the best scents of summertime contained in it, including the citrus smells of orange and lemon with hints of spicy rosemary. All these bath bomb scents linger long after bath time is over, creating a relaxing beach sensation that lasts and lasts. The bath bombs are all brightly-colored in a rainbow of shades, creating bright bath water once the bombs are placed beneath the hot faucet. The bath bombs arrive in bright shades such as orange, yellow, purple, green, blue and fuschia. For this reason, HomEco’s bath bomb set is a great choice to use for a child’s bath time in addition to an adult’s relaxing spa time. Kids love the way these HomEco bath bombs fizz under the hot water and gradually turn the water bright colors. These bath bombs have the capacity to make bath time a fun time of the day for all. HomEco uses all natural essential oils in each of their bath bombs to create a truly aromatherapeutic experience during bath time. The essential oils naturally moisturize to unwind the body after a long day. The aromatherapeutic qualities of the essential oils naturally relieve aches and pains from the body, healing throughout the bath time. The bombs also contain organically sustainable ingredients such as coconut butter, coconut oil and sunflower oil that moisturize the entire body in the bath. These ingredients release from the solid bath bomb the moment the bomb is placed beneath the hot bath water, coating the bath water in a layer of moisturizing ingredients. These oils and butters work wonders on users who suffer from dry skin or eczema. This set of HomEco bath bombs is paraben and phthalate free, and does not incorporate harsh chemicals. HomEco does not test their bath bombs on animals. The bath bombs are completely safe to use on any skin type. HomEco packages their Beach Bath Bombs to arrive in a carton that resembles an egg carton. The bombs are adorably lined up like little eggs, waiting to be selected. This type of carton packaging keeps the scent and ingredients fresh in addition to keeping the bath bombs rounded up together when not in use. The bath bomb carton comes lined with blue confetti, making this set of six bath bombs an excellent gift for any bath or spa lover. These bath time set from HomEco brings the beach to the bathtub with just the splash of a bath bomb. Naturally nourishing to the skin and the muscles, these bath bombs are a treat for the entire body, mind and spirit. Known for manufacturing extra large bath bombs, the brand Soapie Shoppe has created their Princess scented bomb to produce a fragrant, nourishing bath that lasts and lasts. For fans of the Victoria’s Secret brand, this Princess bath bomb closely resembles the Victoria’s Secret Love Spell line of fragrance in its scent. 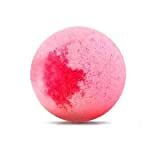 The bath bomb has a rose, cherry blossom, peach and jasmine scent that lingers long after the bath is said and done. The Princess bath bomb creates a light pink bath filled with glitter. As the bomb fizzes out beneath the hot water, it creates a flurry of pink glitter in the tub for a luxurious, Princess-like bath time. The Princess bath bomb is filled with nourishing ingredients such as sea salt, coconut oil, and essential oils. The release of the sea salt from the Princess bath bomb naturally exfoliates and sloughs away dead skin cells from the top layer of the skin during bath time to build a soft new layer of skin that lasts past bath time. The coconut oil nourishes and moisturizes the skin like a fresh layer of lotion. The essential oils contained in the Princess bath bomb bring natural aromatherapeutic qualities to the bath water to relax and unwind the body and the mind, soothing the muscles, joints and brain throughout bath time. As a brand, Soapie Shoppe creates their bath bombs by hand in the USA. Upon purchase,the Princess bath bomb arrives alone in its box, ready to be placed in a steamy bath. This bomb is the perfect choice for anyone who enjoys a long-lasting, nourishing, and colorful bath time ritual. Today, bath bombs are available in a plethora of scents. Selecting a bath bomb can feel like selecting a perfume, and it all comes down to personal scent preference. To begin, it’s best to decide between certain types of scents. Bath bombs are largely available in scent ranges like citrus and other fruits, florals or natural scents like ocean breezes. It all depends on what each user prefers in a scent. Some scents work to alleviate pressure in other parts of the body. For instance, a peppermint or eucalyptus scented bath bomb can relieve issues associated with the sinuses. This aromatherapeutic aspect of bath bombs makes them extremely popular for relieving ailments. Scent should not be ignored in the shopping process for this reason. More and more brands of bath products are beginning to incorporate organic ingredients such as essential oils and natural butters in their bath bombs. Essential oils work to soothe the muscles and joints in the bath in addition to providing aromatherapeutic benefits. Varieties of natural butter, such as shea butter, moisturize and nourish the skin during bath time. When incorporated within the ingredients of a bath bomb, these oils and butters release into the bath water to distribute throughout the bath. 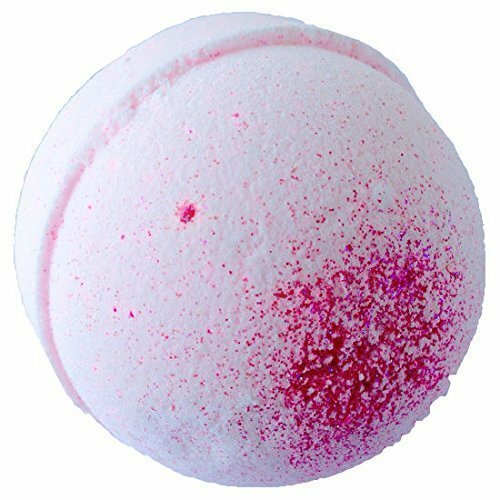 To reach a bath bomb’s full capability, it’s best to look for a brand of bath bomb that incorporates natural oils and butters in this way. Color is another preference issue in the bath bomb shopping process. Some shoppers are drawn to bath bombs specifically because of the color. Brightly-colored bath bombs turn the bath water the same color as the body of the bomb, creating a fun bath experience. However, the color can linger after the bath has been drained, sticking to the sides of the tub and sometimes staining the walls of the tub. For this reason, many experienced bath bomb shoppers steer away from brightly-colored bath bombs and shop for neutral varieties of bath bombs. When using a brightly-colored bath bomb, it’s wise to wipe the color away from the tub immediately after draining the water to avoid staining the walls of the bathtub. With or without color, bath bombs create a fun soaking experience for any bath time. Some bath bombs arrive in sets of six or more. 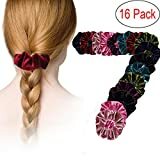 Others are sold individually. True bath lovers who take regular baths with their beloved bath bombs should consider purchasing a set of bath bombs to save big dollars over the years. A shopper who wishes to give a bath bomb a try for the first time or who only soaks in the tub occasionally should consider purchasing bath bombs individually to ensure freshness of the product. Either way, it’s easy to purchase bath bombs in a variety of ways. Introducing the calming powers of bath bombs to the mix of the ritual of bath time kicks bathing up a notch. With ingredients like essential oils and natural butters that release once the bath bomb has effervesced beneath the bath water, bath bombs have natural healing qualities that moisturize the skin and heal the muscles naturally. Bath bombs have aromatherapeutic qualities that soothe the entire body and mind in the bathtub. Unwind today by bringing a bath bomb into the tub for a relaxing soak.